The growing suburb of West Jordan, UT is rapidly expanding as new homes and businesses are moving into the area. There are many benefits to living in this area because of the easy access to Salt Lake City, family-focused neighborhoods, and beautiful mountain views. If you live in West Jordan and you want to improve the quality of your home, then you might consider the benefits of hiring a windows contractor to help. Here at HomeStar Windows & Doors, our goal is to help you create a high-quality home that your family will love. We offer a wide range of products and services that can be catered to match your needs. Do You Need Replacement Windows and Doors? Many homeowners are sensitive to the cost of home improvement projects, so they tend to delay the process of making major upgrades to their property. But, there is no reason to delay the installation of replacement windows! As you learn more about these products, you will see that there is a long list of benefits that you will enjoy. The best things that you can do is inspect the quality of your current windows and doors to determine if it is time for replacements. Check around the frames and under the edges to see if light or drafts are coming inside. Also, consider the quality of the glass that is in place, since many of the established homes have windows that were installed over 20 years ago. Even if a visual inspection looks all right, it can still be beneficial to talk to a windows expert for advice. Our team at HomeStar Windows & Doors is happy to schedule a complimentary consultation with each customer. You can learn more about the products that are available and the things that you can expect if you choose to upgrade your home. 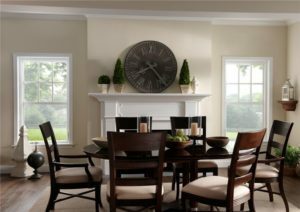 When you are ready to invest in replacement windows and doors for your home, it is essential that you hire a contractor with a good reputation. A company with an excellent track record and proven experience in the industry will deliver the high-quality windows that you need in your home. The biggest mistake that you can make is choosing a contractor based on price, without considering the value that you will receive from the installation. For example, you might have a low bid come in from one company, but you receive single-pane windows instead of double-panes. The quality of the glass and window frames is important to keep out the cold winter weather and hot summer days. As you learn more about our company, it is easy to see why our team at HomeStar Windows & Doors is leading the industry. We are always focused on high-quality materials and excellent customer service. 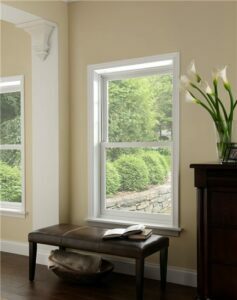 Our goal is to deliver the perfect windows that will look great in your home. It can be overwhelming to choose replacement windows and doors for your home. When you look through the many options that are available, how do you pick the materials that will be best suited for your needs? There are several things that need to be considered during this decision-making process. Our team at HomeStar Windows & Doors can evaluate your situation and make recommendations to help. We will have a conversation about how the windows will be used, where they will be installed, and your budget for the project. Then, we can put together a customized installation plan that will be right for your home. As you are picking these products, it is important to consider both the appearance of the windows as well as the function of the materials. The style and design will impact the exterior and interior appearance of your home. At the same time, the function will help with home security and how easy it is to open the windows. Did you know that you can invest in your home right now to save money in the future? Replacement windows and doors offer a great strategy to improve the energy efficiency of your property. As a result, you will be able to decrease utility costs and increase the value of your home at the same time. These financial benefits make it easy to see that replacement windows can be an excellent investment for your family.